An audience of thousands descended on the heart of Cheltenham last week for the 66th edition of The Times and The Sunday Times Cheltenham Literature Festival, with 136,000 tickets sold across the 10 day literary extravaganza (2-11 October). 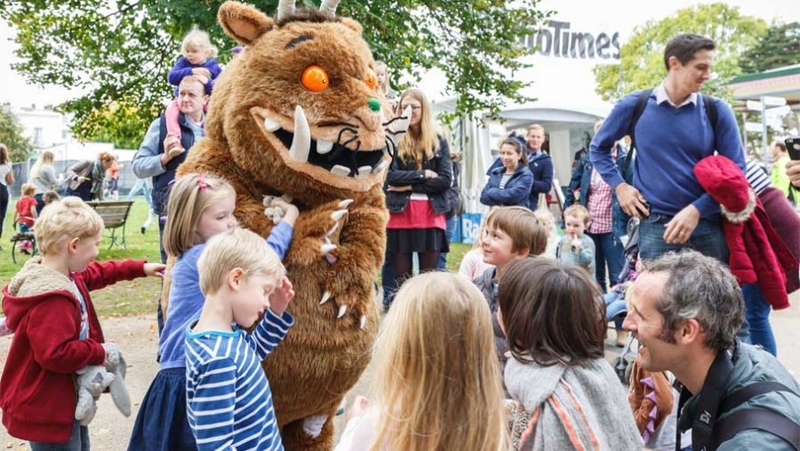 Tickets to the festival’s family programme – Book It! – were up 10 per cent on 2014, with 13,500 sold, while tickets for the schools programme increased by eight per cent, and attendance at events in the main programme increased by 10 per cent. Coinciding with Super Thursday, the biggest day in the UK publishing calendar, the festival comes at a critical moment for the book trade. Official festival booksellers, Waterstones, reported a six per cent increase in book sales, reflecting the strength of both the Festival’s programming and the wider quality of publishing this year. An open-minded celebration of the written and spoken word in all forms, this year’s Festival was themed around Defining Moments, showcasing its most eclectic line up yet. Featuring everything from literary giants to new writers, topical debate to historical discussion, new voices presenting the ideas of tomorrow to the biggest names in entertainment, speakers included Jane Smiley, Martha Lane Fox, Matthew Bourne, George the Poet, Garry Kasparov, Jeanette Winterson, Nick Clegg, Anne McElvoy, Nigel Mansell, Carrie Hope Fletcher, Nick Frost, Boris Becker, Nigella Lawson, Bill Bryson, Gino D’Acampo, six past Booker Prize winners (including double winner Peter Carey) as well as some of the 2015 finalists, three Pulitzer Prize winners, and Costa Award and Wellcome Book Prize winners. “Cheltenham Literature Festival is a dynamic platform for established and new voices across all genres looking to reach out to their audiences and interact with their fans in new and direct ways. Without doubt this has been our best Festival yet, having taken great care to curate a programme that explores ideas in depth, debates and discusses the biggest issues of the day, and revisits the classics in a fresh and engaging way.